Darbības ātrums: 0.12s/60° (4.8V bez slodzes). 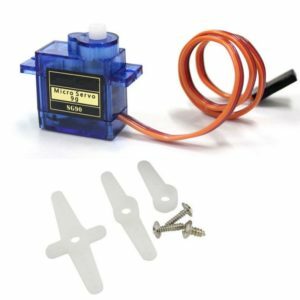 Elektrības patēriņš: gaidot 5-6 mA, bez slodzes 100-120 mA, ar slodzi līdz 700-800 mA. 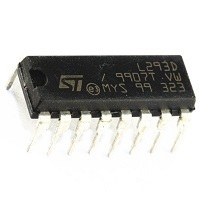 L293D DIP/SOP Push-Pull Four-Channel Motor Driver IC, 16 pins. Kind of IC: half bridge. 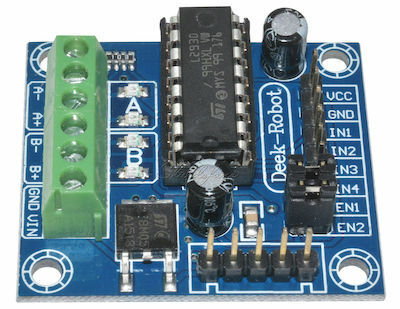 Output current: 600mA (1.2A peak non repetitive) per channel. Operating temperature: -40 ~ +150°C. 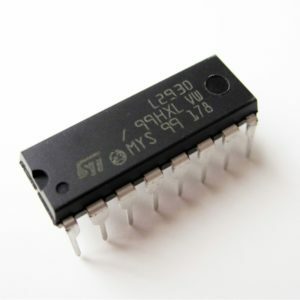 Logical “0” input voltage up to 1.5V (high noise immunity). 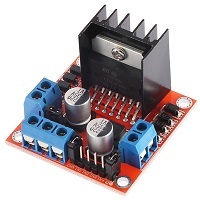 Logical current: 0mA-36mA, Drive current: 2A (max single bridge). Max power: 25W. Weight: 26g, Size:43 x 43 x 26mm. Low heat,outstanding anti-interference performance. Large capacity filter capacitance,afterflow protection diode, more stable and reliable. Note: Built-in 78M05,get power from drive power,however, when drive power over 12V, please use the external 5v power as power supply. 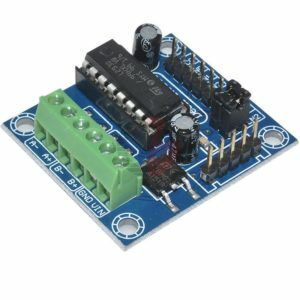 This module has a built-in 5v power supply, when the driving voltage is 7v-35v, this supply is suitable for power supply. When ENA enable IN1 IN2 control OUT1 OUT2, when ENB enable IN3 IN4 control OUT3 OUT4. Pie 3VDC bez slodzes 150mA @ 120 RPM, līdz 1.1 A ar slodzi. Pie 4.5VDC bez slodzes 155mA @ 185 RPM, līdz 1.2 A ar slodzi. Pie 6VDC bez slodzes 160mA @ 250 RPM, līdz 1.5 A ar slodzi. 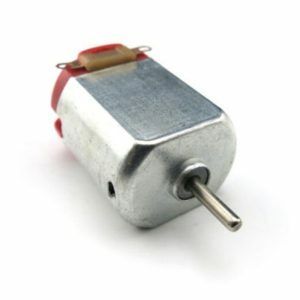 1.50€ R130 Hobby micro motor – 10 gab. 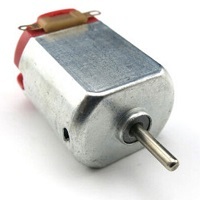 4.00€ Motors R130 ar pārnesumu 1:48 – 2 gab. 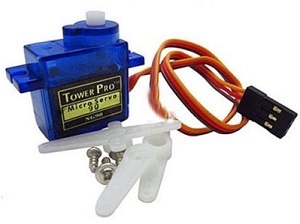 5.00€ SG90 9G Towerpro micro servo motor – 1 gab. 1.00€ L293D 4-kanālu 2-motoru vadības kontrolieris 0.6A – 3 gab. 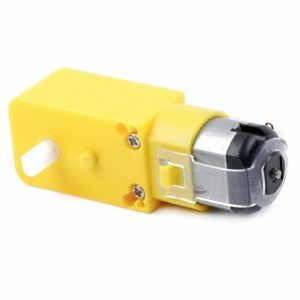 4.00€ L293D 4-kanālu 2-motoru vadības modulis 0.6A – 0 gab. 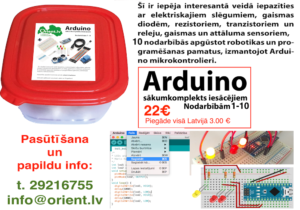 5.00€ L298N 4-kanālu 2-motoru vadības modulis 2A – 0 gab.